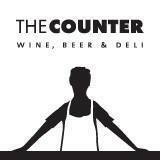 The Counter Deli is a delicatessens, wine shop and café. The Counter Deli provide a range of Donegal and Irish made artisan products including Scarpello & Co Bread, Donegal Rapeseed Oil, Local honey, Filligans Jams, Donegal Chocolates and Kinnegar Beer. The Café specialises in coffees roasted in Ireland including Badger and Dodo. A range of freshly prepared breakfast and lunches are also served using only the finest ingredients. Irish Farmhouse Cheeses & Cured Meats, Irish Artisan Beers, Single Vineyard Wines, Freshly Roasted Badger & Dodo coffee to go, Slow Food Co. Wood Oven Baked Breads, Donegal chocolate.